We’re starting a new holiday tradition this year– sprinkling reindeer food in the yard on Christmas Eve to help guide Santa to your house & give the reindeers a little snack :) If you haven’t already, go download my free reindeer food printable in my free printables library! It’s a fun favor to hand out at holiday parties, or you could even make it an activity by letting your kiddos put the food together and fill their own bags. I first saw this reindeer food printable idea on Pinterest and I loved the idea so much that I decided to create a printable of my own. It would be fun to set up a little “reindeer food” bar & let the kids mix up their own food. You’d need oatmeal, glitter, and whatever else you wanted to add into the mix– you could add marshmallows, chocolate chips, pretzels, etc. Set the ingredients in bowls or containers and let them scoop it out with spoons into their bags. After printing, just staple it to a snack or sandwich bag & you are good to go! I can’t wait to do this on Christmas Eve with Gio & Gabi and establish a cute holiday tradition to do with them. I don’t want to think about the days they are too old for this– Christmas is so much more magical with kids who believe! Thanks for stopping by, I hope you and your littles enjoy this fun reindeer printable! 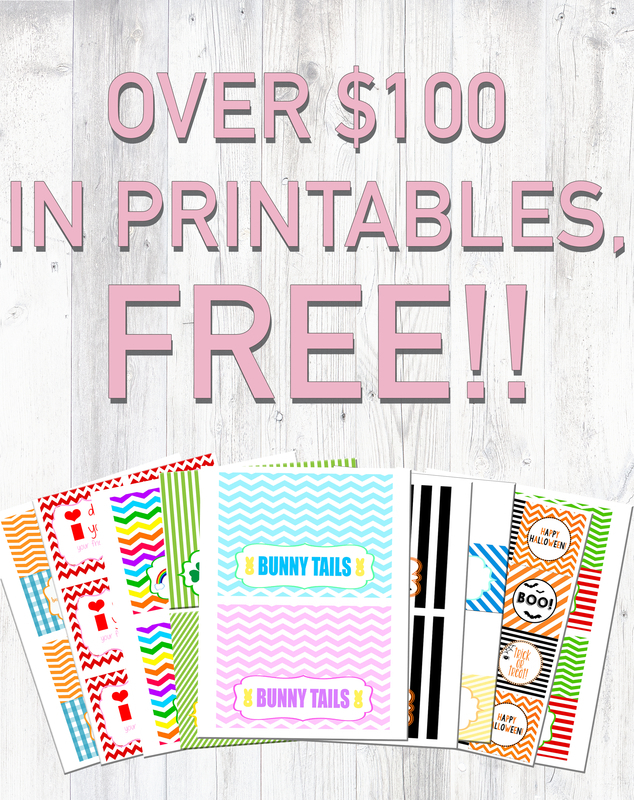 Be sure to check out my free printables library for tons of other freebies to print & use! There are printables for other holidays like Valentine’s Day, St. Patrick’s Day, Easter, Halloween and more.